Nothing is more valuable to your business than an accurate set of books. Our comprehensive bookkeeping services allow you to do what you do best…operate your small business! We take care of your books for you so you can get back to the job of running your business and generating profits. 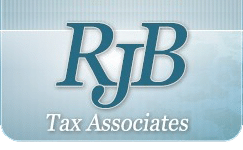 We handle all of your bookkeeping needs—from bank reconciliations through payroll—all at competitive rates. Reconciling your business checking account each month allows us to keep your bank account, accounting, and payroll taxes up-to-date. The general ledger is the core of your company's financial records. These records constitute the central "books" of your system. Since every transaction flows through the general ledger, a problem with your general ledger throws off all your books. Having us review your general ledger system each month allows us to hunt down any discrepancies such as double billings or any unrecorded payments. Then we'll fix the discrepancies so your books are always accurate.